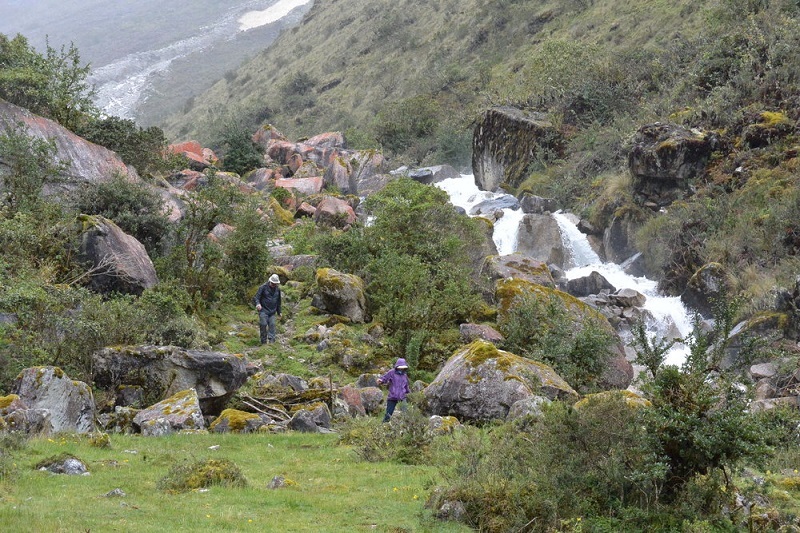 The Ahobamba Trek takes you through the beautifully isolated Ahobamba Valley. 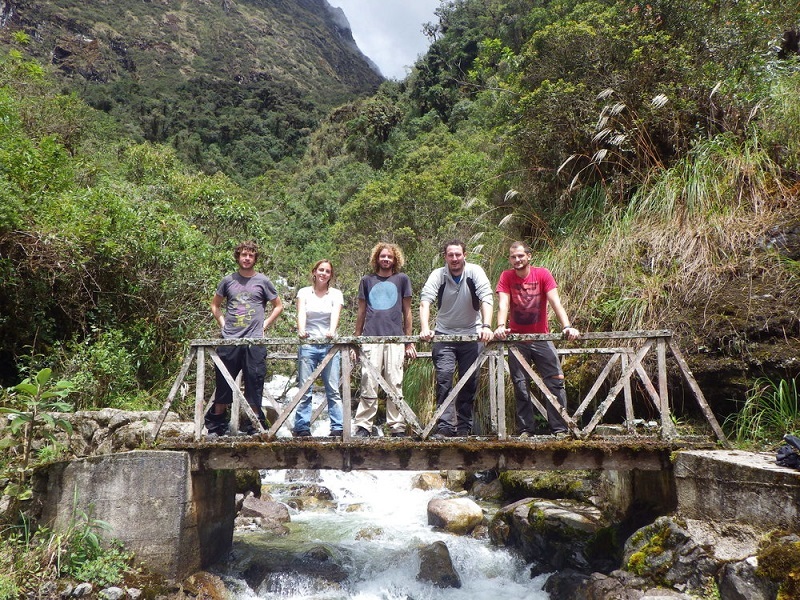 The Ahobamba Trek gives serious trekkers an alternative route to Machu Picchu. The Ahobamba Trek takes you through the beautiful and isolated Ahobamba valley. 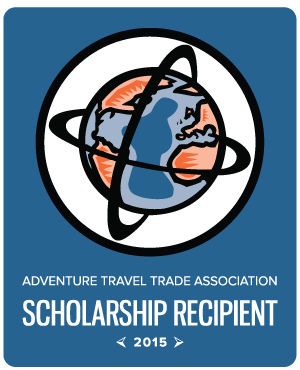 It is still a relatively unknown route to one of the seven wonders of the world. The journey to Machu Picchu starts in Cuzco. Afterward, you are driven 3.5 hours to the remote Soray Pampa. 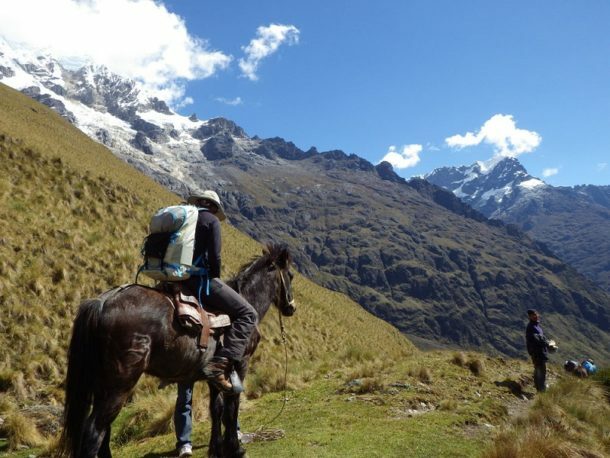 Then, you can relax in a rustic lodge which overlooks the Salkantay, Humanty, and many other large mountainous peaks. 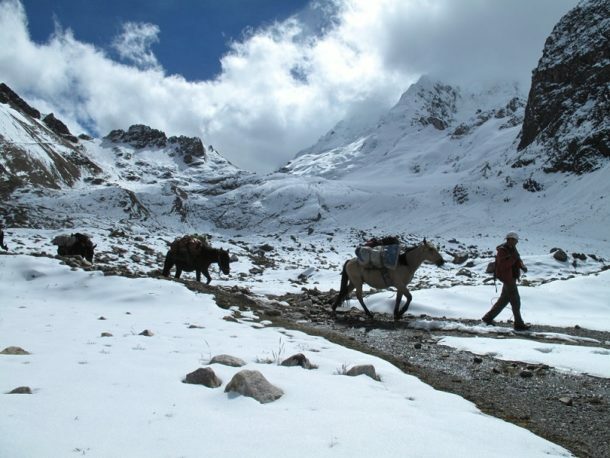 The first day of the trek is the biggest and longest day of your expedition. 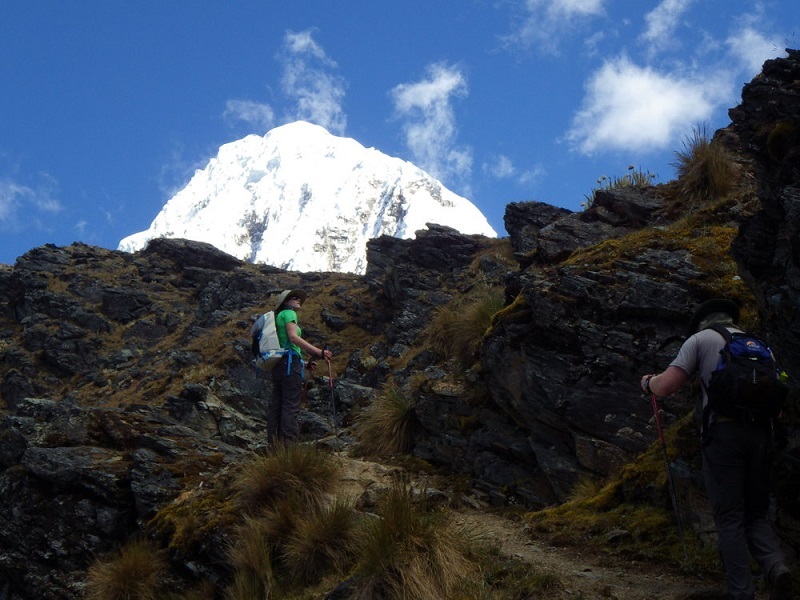 Firstly, you’ll traverse the first pass, Inkachillaska (4,950m), which runs parallel to Mount Salkantay. Then, you will have lunch at the Sisaypampa pasture. The next pass, Palqay (4,700m), is reached by a 500m climb of switchbacks to a rocky mountain ridge between Mount Salkantay and Mount Palqay. After an hour-long descend, you’ll arrive at the accommodation for the night. Doña Lucilla and her daughter own a portion of the valley and you will spend the night at her house. 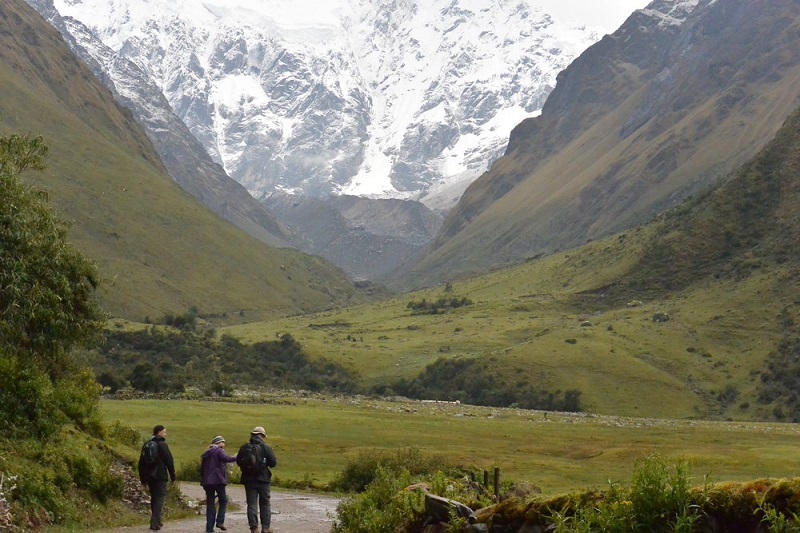 As you hike deeper into the Ahobamba valley, you’ll encounter Cuzco’s largest waterfall. It is over 160m tall. 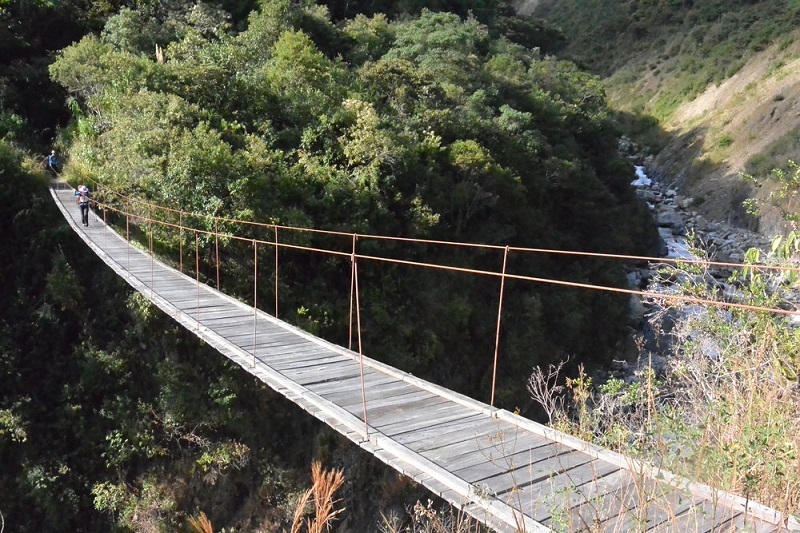 In addition, you’ll visit the ruins of a sleepy ancient Inca town across the river from our Ahombamba house. The following day you’ll descend into a mystical cloudy forest. After an afternoon of trekking through the rugged forest, you’ll arrive at the Cloud Forest House of Mr. Fortunato. He and his family live on a unique sustainable farm. Afterward, you’ll find yourself back in civilization! An hour away from the farm is a hydroelectric train station. 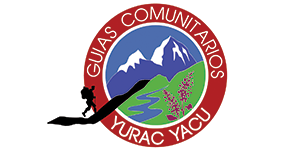 An easy 2.5 hours hike alongside the tracks will bring you to the tourist town of Aguas Calientes. Here you’ll freshen up before an unforgettable trip to Machu Picchu. 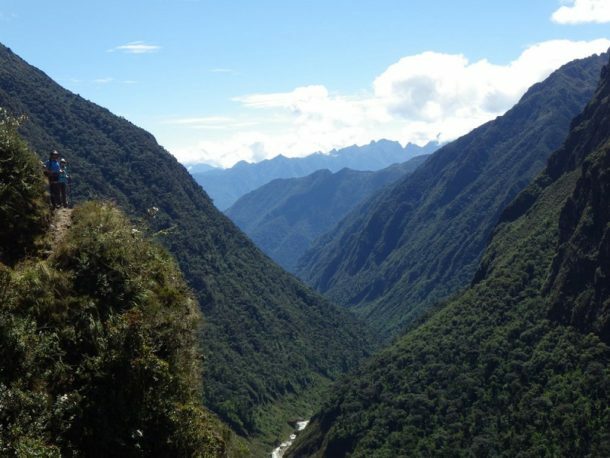 Of course, Ahombamba is just one of the expeditions we offer to Machu Picchu. 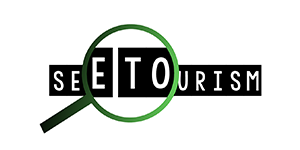 Check out our expedition page for other routes. 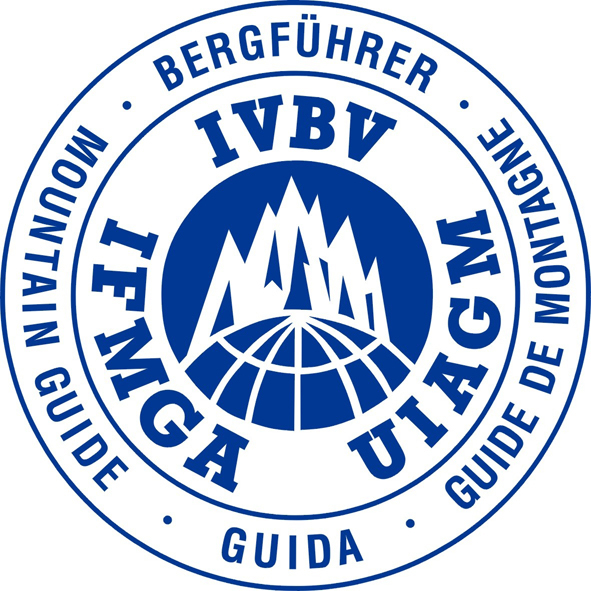 See you on the mountains! 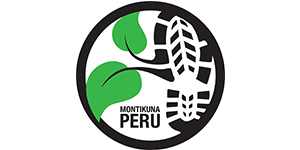 Travel from Cusco (3,300m) to Soray Pampa (3,900m) in 3.5 hours by private transportation. After lunch, relax and enjoy the views of Salkantay, Humantay and other high mountain peaks from the balcony or dining room at the lodge. This is the biggest day of the trek. 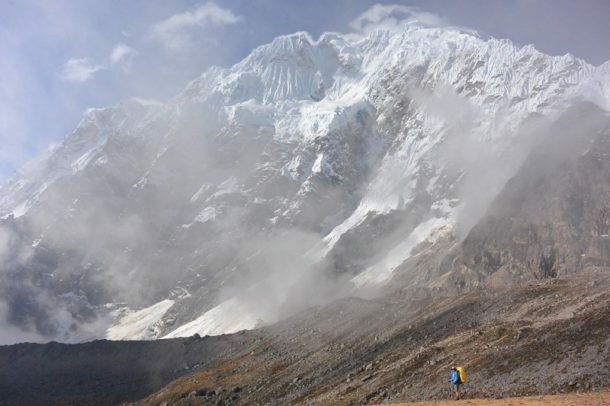 The first pass Inkachillaska (4,950m) lies right next to Mount Salkantay to get up close and personal. 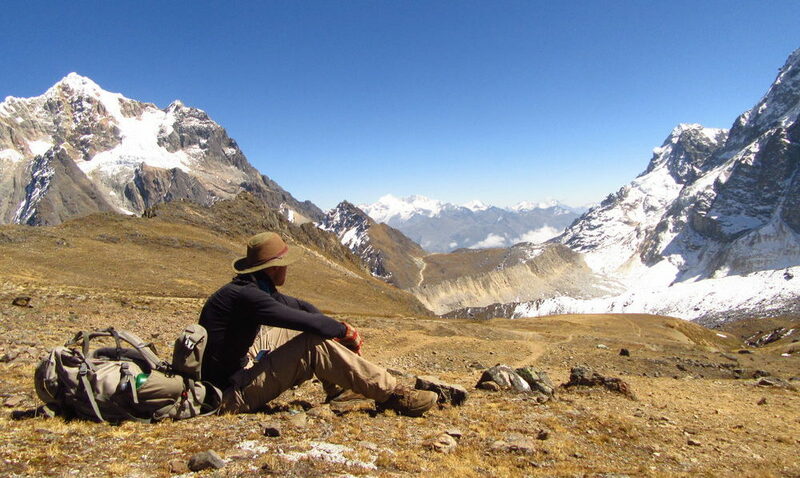 After going down the other side, you'll have lunch in the spacious pasture Sisaypampa (4,200m). The next pass Palqay (4,700m) is a 500 meter climb of switchbacks to a rocky mountain ridge between Mount Salkantay and Mount Palqay. An hour below the pass you'll arrive to Doña Lucilla's house (4,200m) where you'll spend the night. As you hike deeper into the Ahobamba valley the mountain walls tower around you. You'll walk 7km downhill, and appreciate the highest waterfall in Cusco which is over 160m tall. You will visit the ruins of an ancient Inca town across the river from our Ahobamba House (3,500m) and have a free afternoon to enjoy this spectacular place. Descend into the cloud forest. The trail becomes more rugged as it traverses the sides of the valley high above the river. For several hours you walk in complete seclusion with nature, before you get to the Cloud Forest House of Mr. Fortunato at 2,100m. Here his family lives on a self sufficient farm. This is the day you arrive back to civilization! An hour below the cloud forest house, is the Hydroelectric train station where many routes to Machu Picchu come through. From the Hydroelectric to Aguas Calientes it's an easy 2.5 hour walk along railroad tracks to the tourist town. Here you will check in to your hotel and relax for the rest of the day. There are 2 options to visit the Citadel of Machu Picchu, either in the morning or in the afternoon. It is up to you which turn you choose, the guided tour takes about 2 hours and then you will have some free time to walk through again if you wish. You will take the train back to Cusco after the tour, about 4 hours of travel. 6 day trek through the Ahobamba Valley to Machu Picchu. 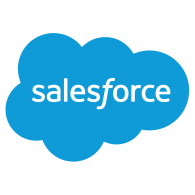 Team size: 5 minimum. Price: $1,379.